Session has expired. Please refresh and try again. Address 1 is not valid. Address 2 is not valid. Don't miss out on our exclusive discount offer included in the sample pack! PrintPlace.com helps churches spread the word through quality, affordable printing and direct mail. 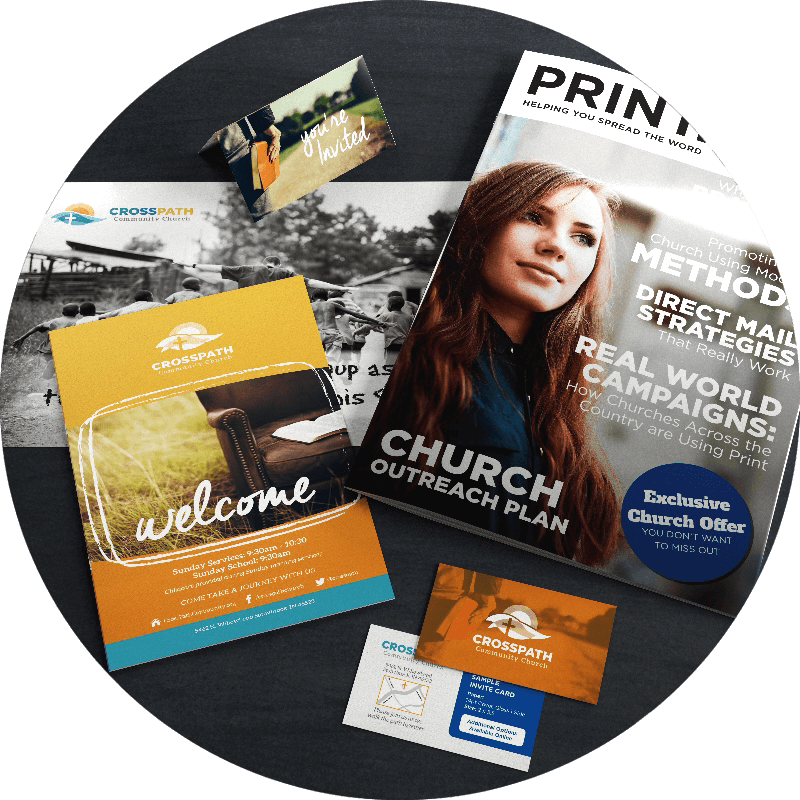 Thousands of churches choose PrintPlace.com for their printing needs, including everything from business cards to booklets. We can mail to your list or provide a list to reach your community. Spread the word beyond the halls of the church and be heard in your community and beyond. Connect with new members and stay in touch with long-time faithfuls. Working heartily means staying busy, start by taking care of office needs. Our church sample pack is the best way to understand all of our printing options. You can see and feel each of our paper stocks and coating options to pick which are best for you, compare 10pt and 14pt stocks, and see the difference between aqueous, high gloss UV, matte aqueous, and uncoated. You'll be able to clearly see which options are right for your own project. For questions, or if you prefer to give us call, we are available M-F (7am - 8pm CT) 877-405-3949.